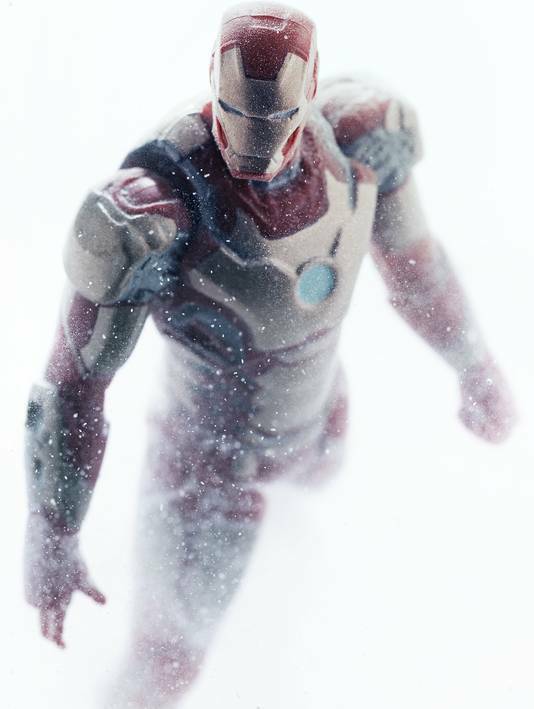 With the cast still taking shape Marvel have taken the opertunity to release some Iron Man 3 toy fodder to tease fans on what we have to look forward to. 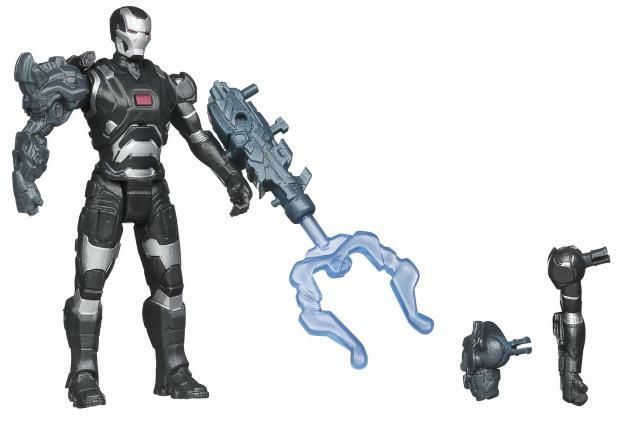 I don’t think we can read too much into these although they could hint at how Marvel studios are going to make the rumored 40 odd new Iron Man suits. 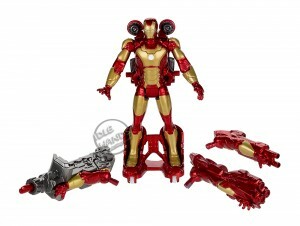 The figures are in the mini fig size at about 3 inches tall but aparently come packed with accessories to make and customise your own figure. 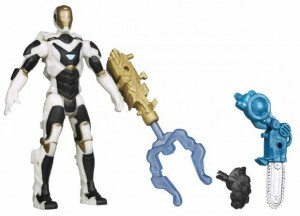 It’s an old animation trick where animaters would design ten arms legs and heads and mix and match to make a hundred unique characters. 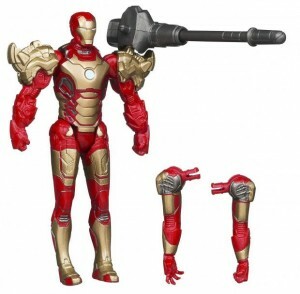 If the toys are anything to go off the other 40 versions of Iron Mans armour might just be the same base armour but with added weapons and tech. 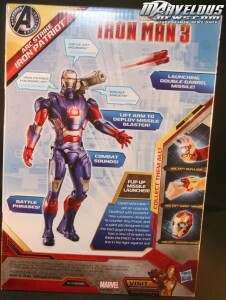 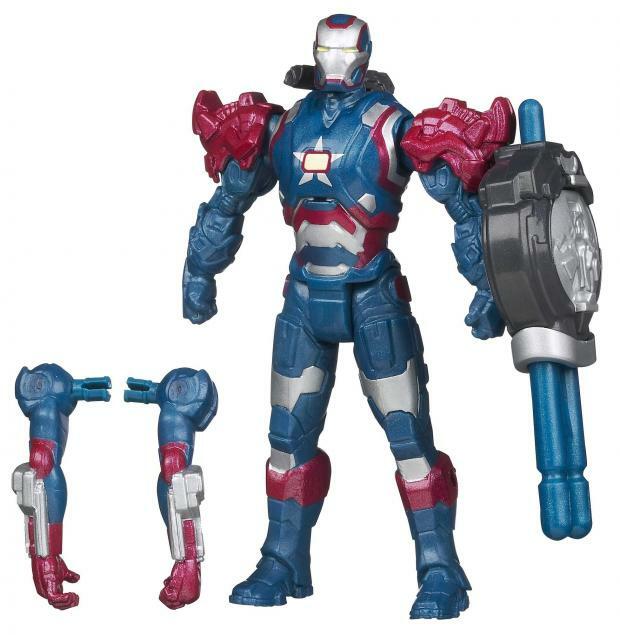 The assemblers line launched months before the official Iron Man 3 Release date with Iron Man and Iron Patriot but aparently will have a dozen or so other figures in the set to mix and match parts of armour to make your own unique figure. 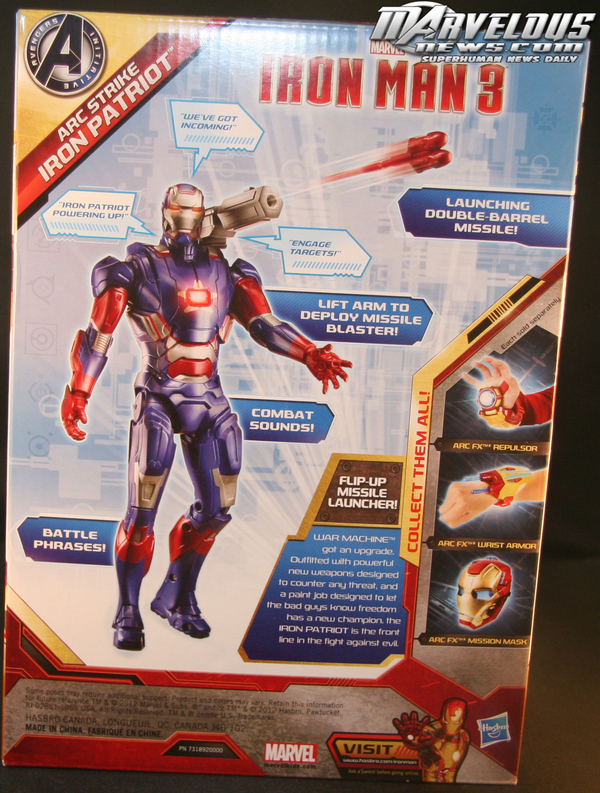 Another cool bit of news comes with the packaging for the assemblers as on the back it shows a new helmet/mask and repulsor.